Can you imagine a world without Instagram? 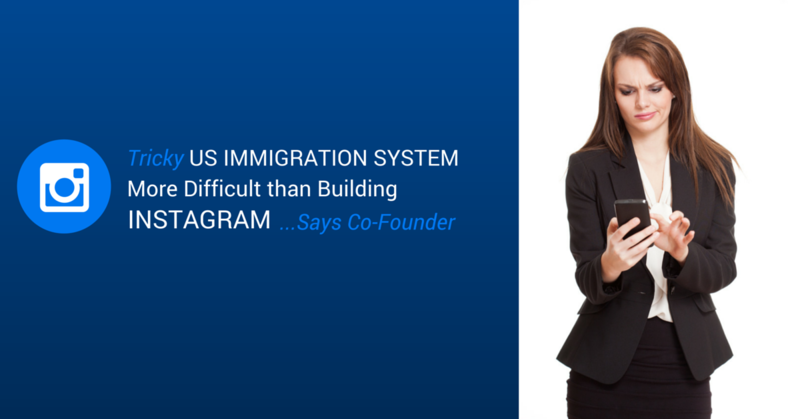 Nor can we, but according to co-founder Mike Krieger, it almost didn’t happen thanks to the long delays that come with navigating the US immigration system. The photo filtering and sharing app may be one of the most popular around, but apparently getting a visa took Krieger a lot longer than actually building Instagram in the first place – and he puts it down to luck that he even managed to get a visa at all. Originally from Brazil, Mike Krieger first arrived in the United States on a student visa. 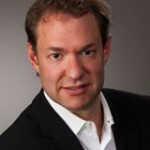 Upon graduation from Stanford University, Krieger was offered a job at software Startup Company Meebo, which helped him apply for his H-1B visa as a specialty worker. From there he moved to Silicon Valley, began work, and eventually invented the app with business partner and Instagram co-founder, Kevin Systrom. The H-1B visa is particularly in high demand with major companies and tech giants such as Facebook, Google and Intel mailing out tens of thousands of H-1B applications each year in the hope of securing limited visas. Foreign computer programmers and engineers such as Krieger are often highly sought after, although not everyone is awarded an H-1B temporary work visa due to the current cap at around 85,000 applications. The US Citizenship and Immigration Services once again opened up the application process on April 1, although just like previous years, the number of requests from companies exceeded the current cap in no time. On Tuesday, the agency announced that it’d stop accepting applications, and a random lottery would be held to decide which employees would be awarded the temporary work visas. However, obtaining an H-1B visa wasn’t actually the biggest worry for Krieger when he initially applied to join Meebo’s team back in 2009 – it was actually a few months down the line, when he first started discussing a new social networking app with Systrom. The biggest challenge the pair faced wasn’t to do with anything tech-related at all – the main problem was how they were going to transfer Krieger’s visa over to the new company. In a recent interview, Krieger claims he had a three-month wait while Systrom hired an immigration lawyer, and filed papers in order to get the work visa. Eventually, in April 2010, and with legal help, the paperwork was issued and Krieger was given clearance to remain in the United States in order to work alongside Systrom. The pair got to work, and amazingly, it only took a few weeks to get the initial Instagram app to work on an iPhone., less than it took him to get a visa. The app took off almost instantly, and was acquired by Facebook for around $1 billion back in April 2012. Just a couple of months later, Google purchased Krieger’s ex-employer Meebo for around a tenth of that price, which showed just how successful he had become. In 2012, having finally benefited from receiving his H-1B visa, Krieger decided to promote changes to US immigration rules and regulations on a visit to the White House. Krieger even received a shoutout from President Obama in a 2013 speech. Krieger went on to receive his green card, and still works as one of the technical geniuses behind the popular app, which now employs around 200 employees and is used by over 300 million people worldwide. We Can Help You with Your H-1B Visa Application? US immigration isn’t easy, but stories such as Krieger’s prove that the process can be worthwhile. As you can see, even promising persons have trouble navigating the US immigration system. Therefore, if you’re considering applying for an H-1B visa, you should hire an immigration professional familiar with the US immigration laws. At Visaplace, we have over 15 years of experience at handling H-1B visa applications. We have helped thousands individuals enter the U.S. with H-1B visas, and we can help you too! The first step towards a successful H-1B application is getting an assessment of your case. Fill out our free immigration assessment form and we will get back to you within 24 hours to discuss your eligibility and options.